THE HSE has confirmed that the A&E department at Roscommon Hospital will close as of 8am Monday morning. It will be replaced from Monday by an ‘urgent care unit’ operating from 8am to 8pm, followed by an out-of-hours GP service. However, acute emergency treatment will no longer be provided at the hospital. Acute treatment will be provided at other hospitals in the west including Portiuncula Hospital in Ballinasloe, University College Hospital in Galway, Sligo General Hospital and Mayo General Hospital, in Castlebar. Dr David O’Keeffe, clinical director of the Galway Roscommon Hospital Group said the hospital still had a key role to play in the health services of people in the surrounding area, but that HIQA had made “clear recommendations in relation to the level of health service” that should be provided from a hospital of this size. Our priority is to provide the safest level of care for our patients. It is widely acknowledged that the safest place for patients to receive acute emergency care is in a larger centre with specialists who have all the necessary support and equipment to deliver that care. In addition, there have been ongoing difficulties recruiting the required number of NCHDs [non[consultant hospital doctors] required to safely deliver a safe 24-hour service in Roscommon. In the recent past we have been managing this issue through the use of locum doctors. That is not a sustainable or safe solution in the long term. 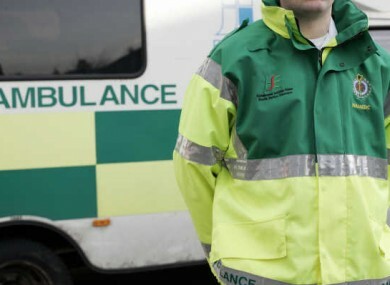 O’Keeffe also said that additional ambulance crews would service the Roscommon area. Taoiseach Enda Kenny faced an angry group of protesters in Athlone last week over changes to the hospital’s services. The 100-strong crowd was demonstrating over plans to swap the emergency department with an urgent care unit. What is an ‘urgent care unit’? And what can it treat? According to the HSE, the urgent care unit which replaces the emergency department as of Monday morning will be available from 8am to 8pm, seven days a week – including public holidays. The Westdoc/GP out-of-hours service will be available between 6pm and 8am the following morning. However, people availing of this service can be treated in their homes if necessary, rather than at the hospital. These doctors will be equipped with an ECB and a defibrillator. Doctors at the urgent care unit will provide treatment for adults with non-emergency conditions including: sprains, strains, minor burns and scalds, wounds, bites, cuts and grazes, suspected broken bones to legs and arms, minor chest injuries, and splinters and fish hooks. What it can’t treat: conditions related to pregnancy, head injuries, injuries resulting from a fall from a height, road traffic accident injuries, abdominal pain, chest pain, neck and back injuries, pelvis and hip injuries, and alcohol- or drug-related problems. The doctors can issue prescriptions and provide patients with a supply of drugs, if required before they can fill out the prescription. A medical assessment unit (MAU) will operate on weekdays between 9am and 5pm. Patients can be referred to the unit by their GPs and the HSE says that “many chronic illnesses” will be treated at the unit. The MAU aims to fast-track the assessment of patients who present at the facility. Email “Roscommon Hospital A&E to close Monday”. Feedback on “Roscommon Hospital A&E to close Monday”.